The next meeting of the Rhetoric Reading Group will take place at 6:30 PM, June 12. The location will be Kim Lacey’s residence (510 Montrose Ave., Apartment 7, in Royal Oak). 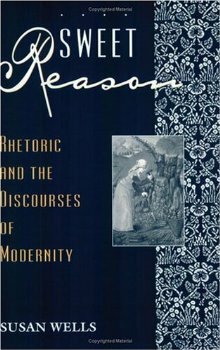 Our text will be Susan Wells’ Sweet Reason: Rhetoric and the Discourses of Modernity (U of Chicago P, 1996). If weather permits we will barbeque at a nearby park.